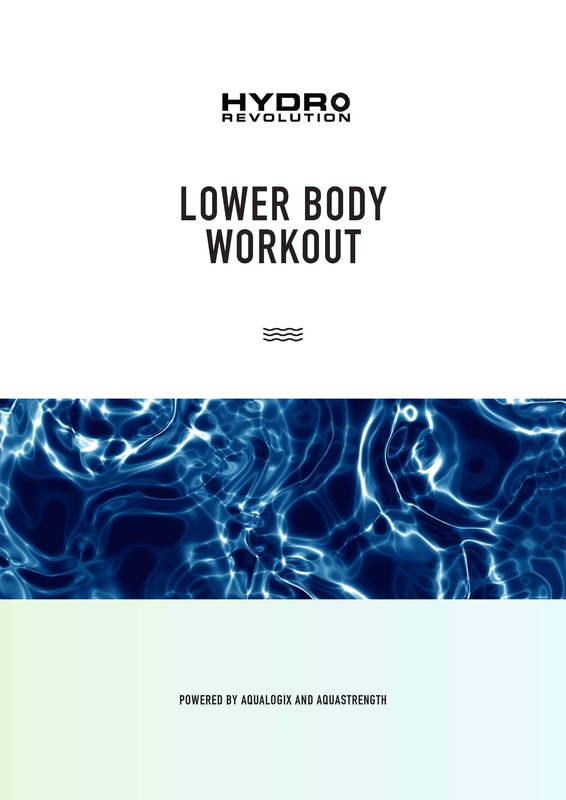 The Hydrorevolution Lower Body Workout Program has been designed to provide a great lower body workout that focuses primarily on strength and stability. It starts off with a dynamic warm up before moving onto a strength and stability component and finishes off with a round of cardiovascular exercises. 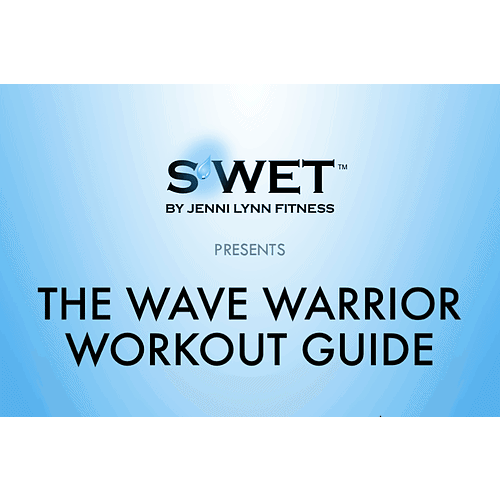 This workout can be completed using either Aquastrength OR Aqualogix Fins. 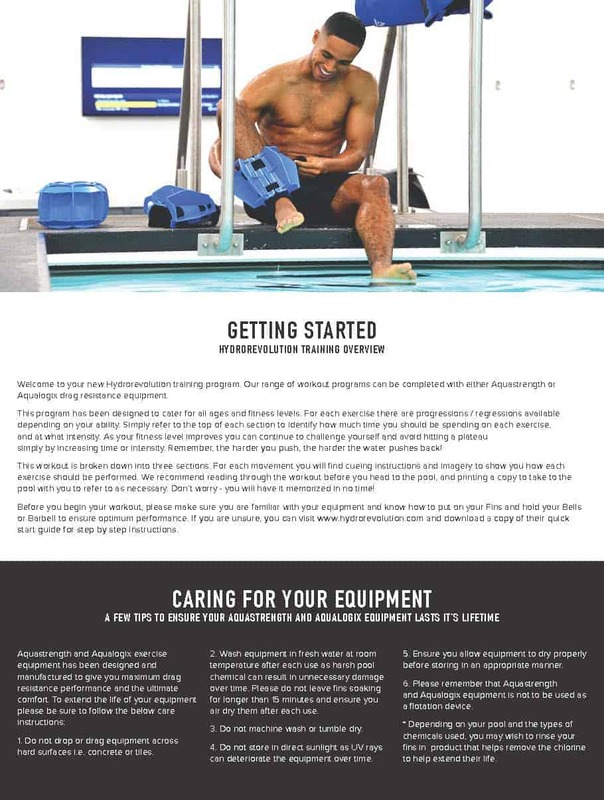 The unique 3D design of these lower body fins means the workout is suitable for all ages and fitness levels. 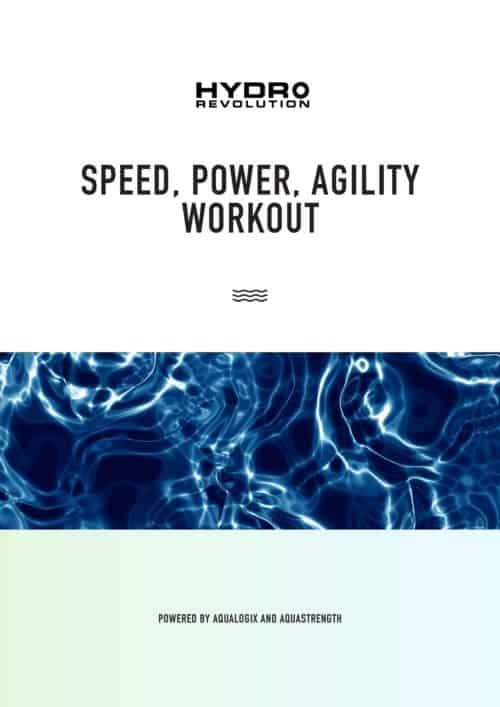 The user can easily control the level of resistance throughout the workout simply by how hard they push. The harder you push, the harder the workout!